I recently slept in a sleeping bag for the first time in my life. 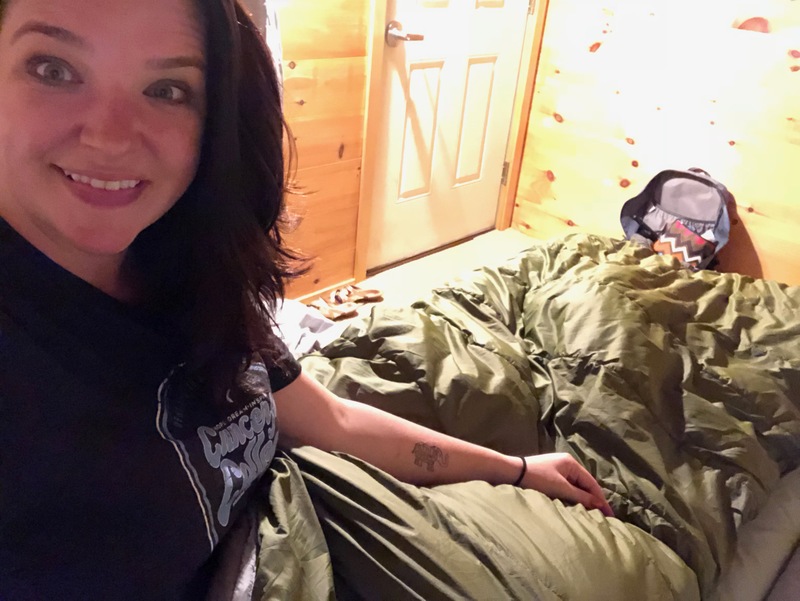 Not just in a sleeping bag but in a hut with bunk rooms in the middle of Maine. After learning about Maine Huts and Trails a year ago, I couldn’t wait to check out this organization. 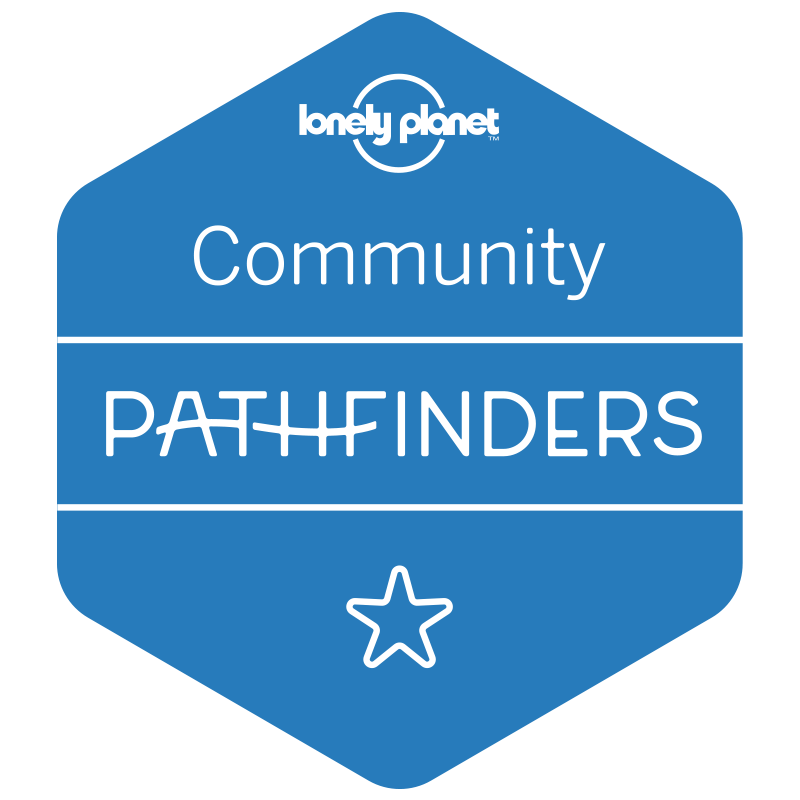 A non profit whose mission is to create and operate a system of backcountry trails and eco-lodges. 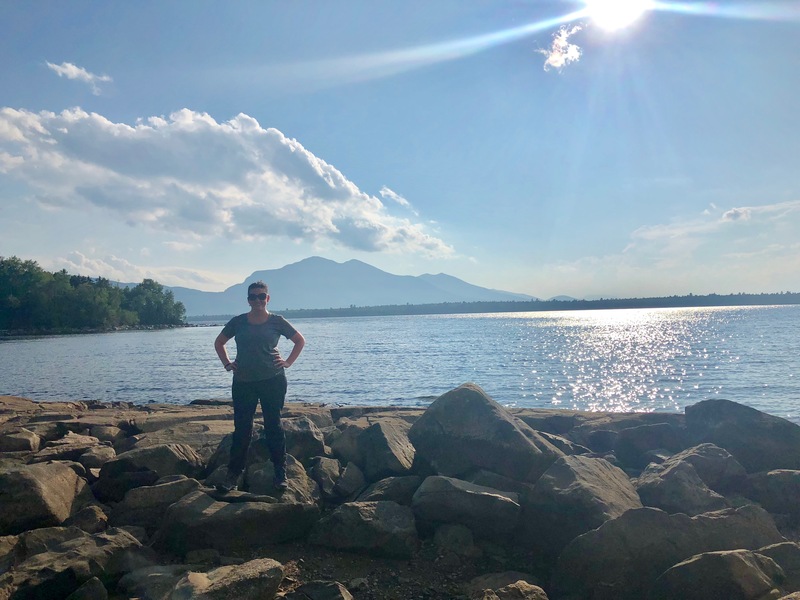 Throughout my life I’ve not had much experience with the great outdoors but now I’ve found the perfect place to go hiking in Maine. Ever since I decided to hike to Mt Everest Base Camp (hey-go big or go home! ), I’ve been drawn to spending more of my time outdoors. It’s peaceful and takes me away from extreme stresses of the busy city life. It takes me away from the ‘always on the go’ mentality. 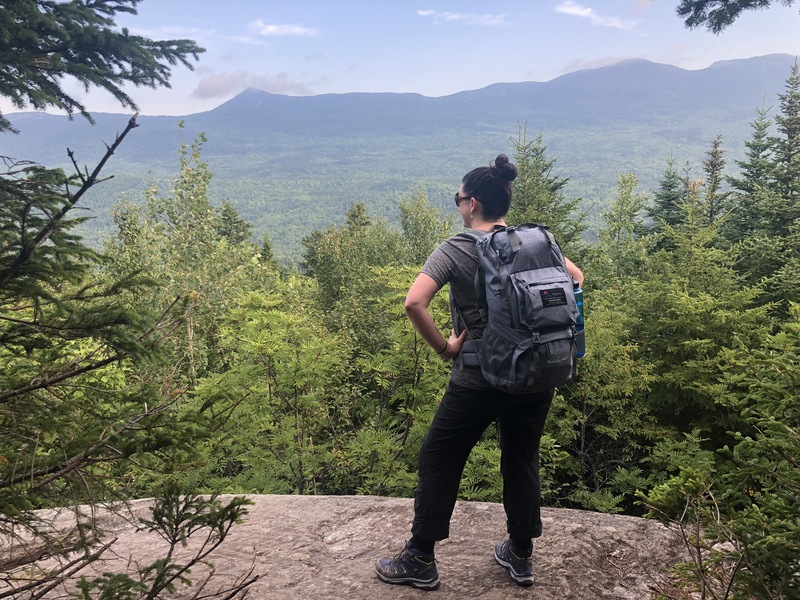 I have grown this appreciation of nature and have this strong desire to hike more, paddle more, reflect more, and connect more. 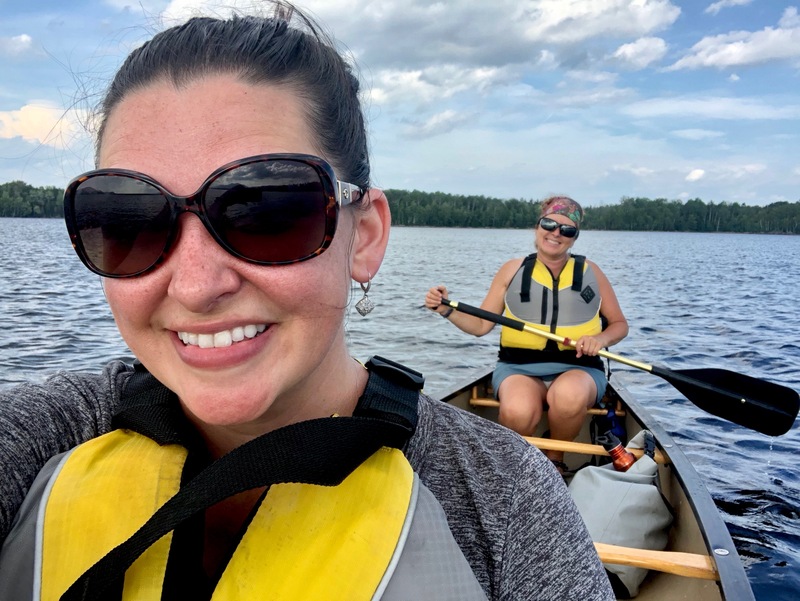 I met Board Member and Former Executive Director, Carolann Ouellette, of Maine Huts and Trails last year during a travel conference devoted to sustainable tourism. 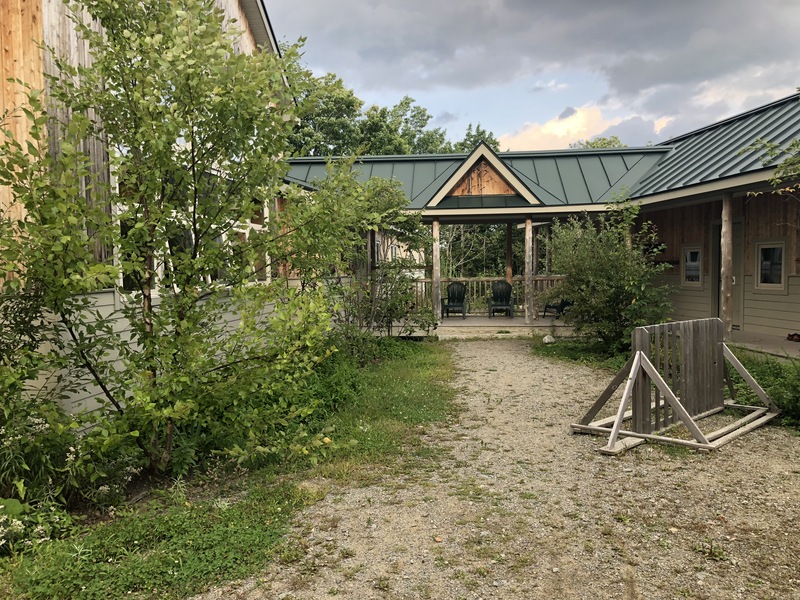 The concept behind this organization was really incredible to me and I was anxious to visit especially since Maine was one of the few states I’ve never been to. It was at the top of my list among U.S. destinations. Portland, Maine is a quick flight from my home base of Charlotte. 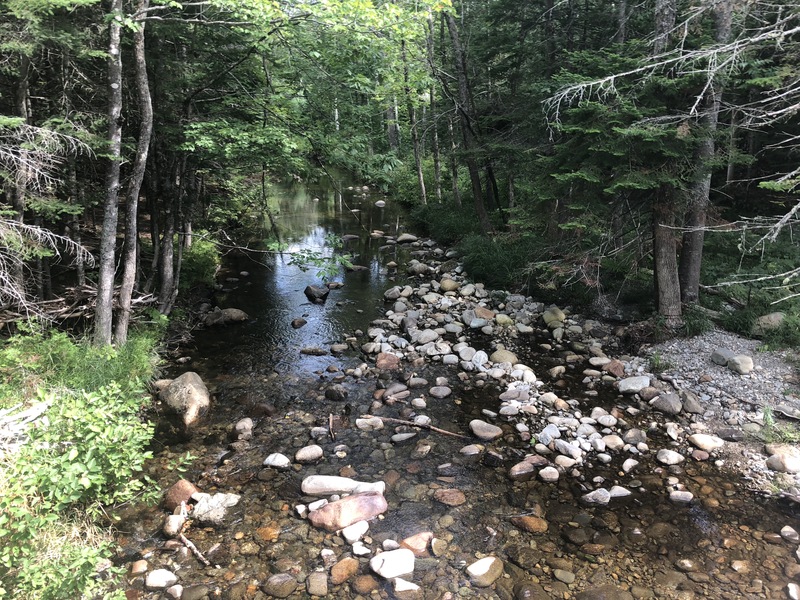 After spending some time in Portland, I made the 2.5 hour drive to Kingfield, Maine where I’d spend my time experiencing Maine Huts and Trails. Carolann joined me at the beginning of my trip to show me the ropes of the hut system. 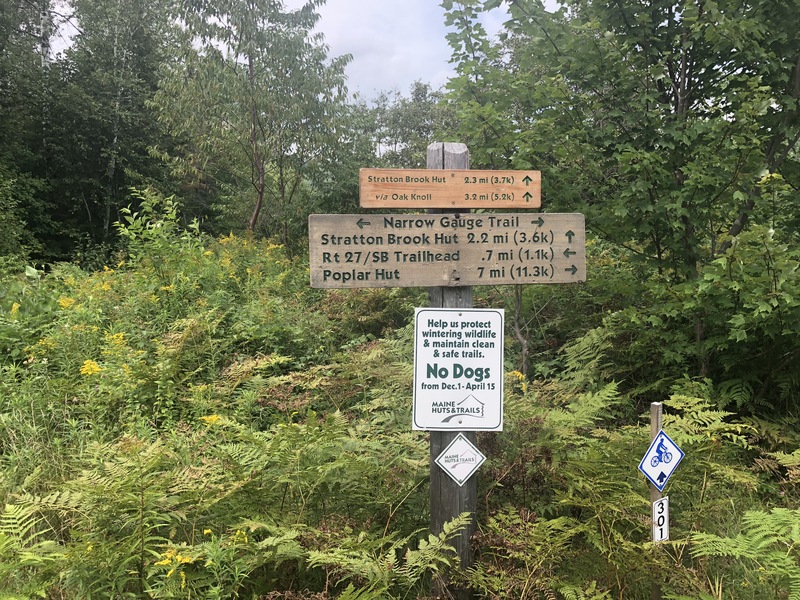 We started off at the Stratton Brook Hut trailhead. 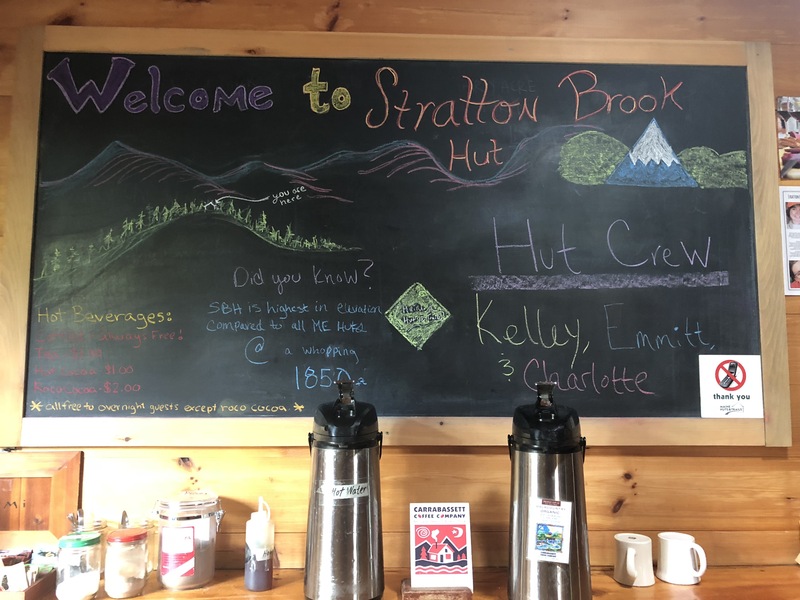 Stratton Brook offers activities such as hiking, biking, bird/nature walks, a fire pit, and in the winter skiing and snowshoeing. Truly something for all ages at any time of the year. This particular trail is said to be the most difficult as it’s steeper than others but for the seasoned hiker it would be a piece of cake. 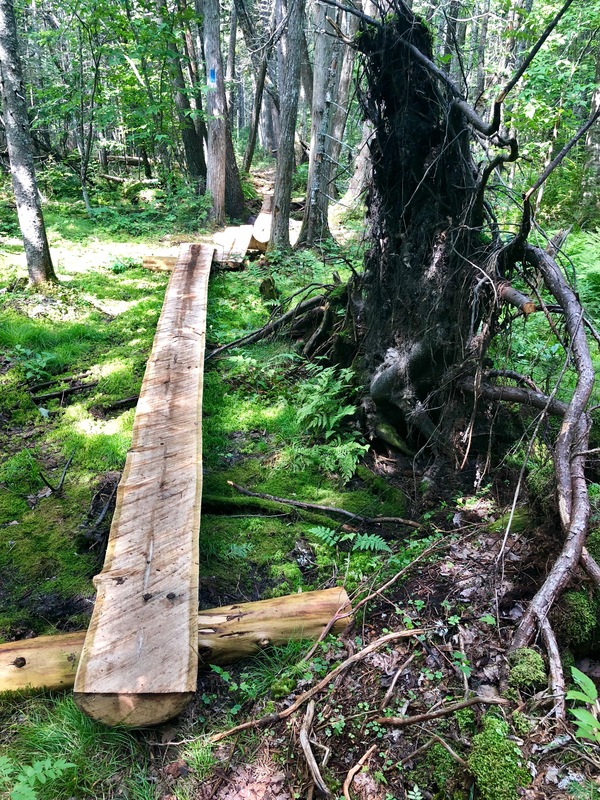 Carolann shared with me that Maine Huts and Trails was the vision of Larry Warren in the 1970s. 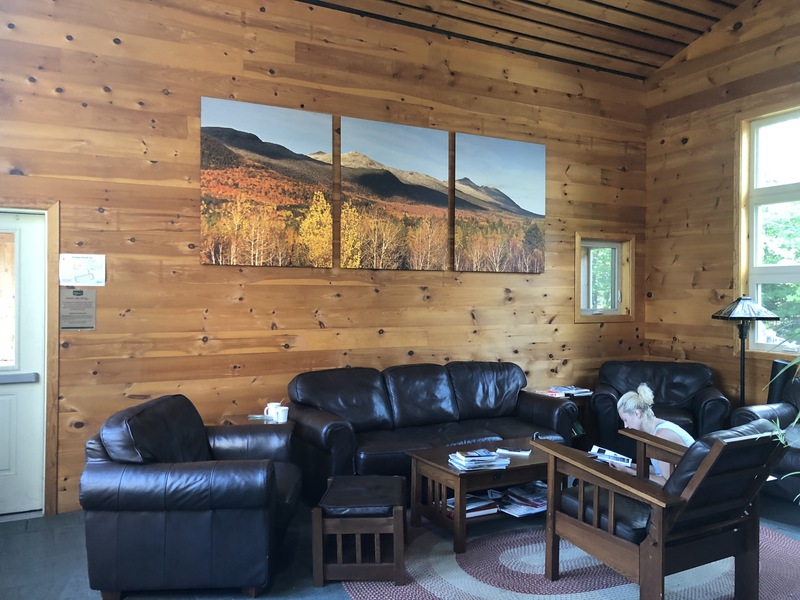 Maine Huts and Trails currently has four eco lodges (huts) over 80 miles of open trail and is open year round. The model was inspired by the hut-to-hut treks throughout the European Alps. I had no idea that something so unique was right here in the United States. I’ll be honest as I laid my head down the first night I was a tiny bit afraid of what was behind the door to the outside. It wasn’t the wild life. It was the dark. I was,no, I AM afraid of the dark. I’m a grown woman afraid of what may be lurking in the dark forest. It may sound a bit silly but I was completely out of my comfort zone. It’s not unusual for me to take a sleep aid but even with that I couldn’t sleep through the night. I was up twice during the night to go to the toilet which required me to go outside to find my way to the next building. The flashlight on my phone was the only way I could see where to step in front of me. The only lights were the ones in the sky. Since then, I’ve purchased a head lamp. 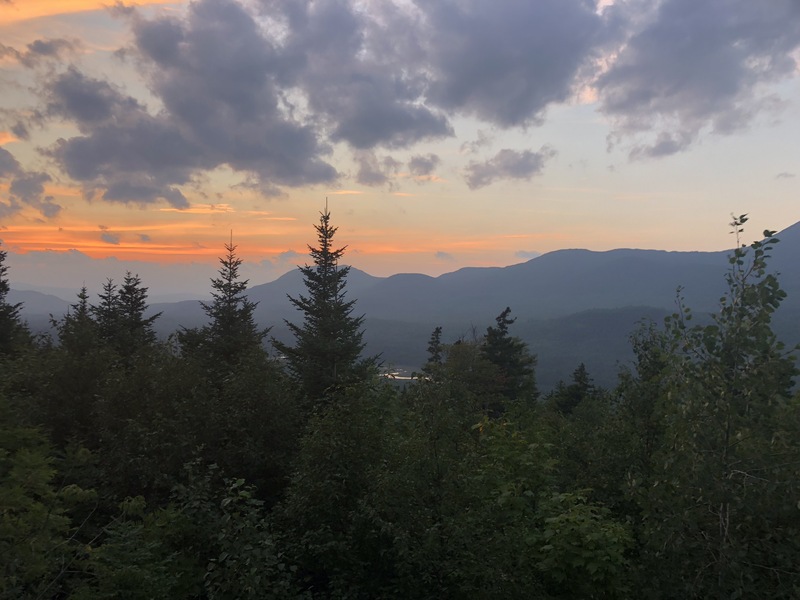 The Stratton Brook Hut has stunning views of the Bigelow Range. The next day Carolann and I made our way back to the car and drove to the next trailhead to meet my guide Kimberly. In a perfect world, I would have hiked from hut to hut. That’s the idea! But we were short on time and I needed to see as much as I could of the land. 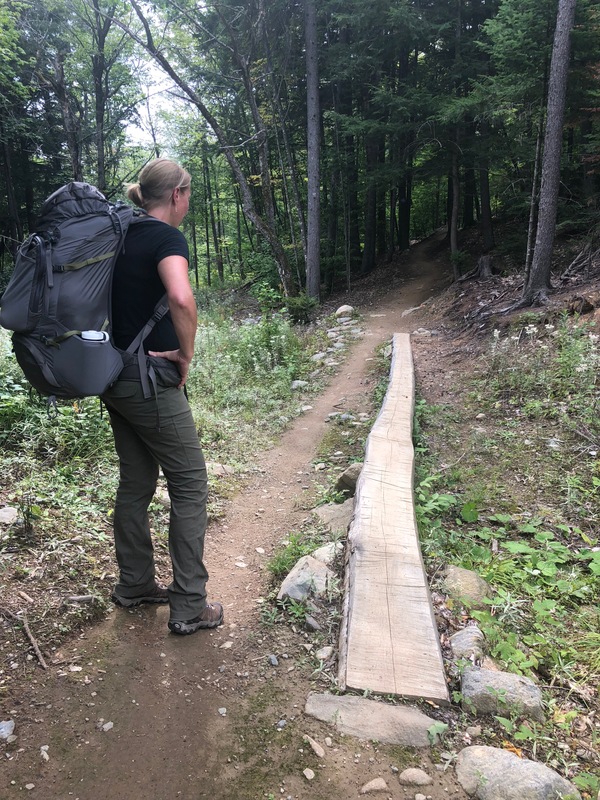 Once we arrived to the Flagstaff Hut trailhead I said goodbye to CarolAnn and I began my journey with Kimberly who not only works with Maine Huts and Trails but is also a Maine Guide. We started off by hiking to Flagstaff. 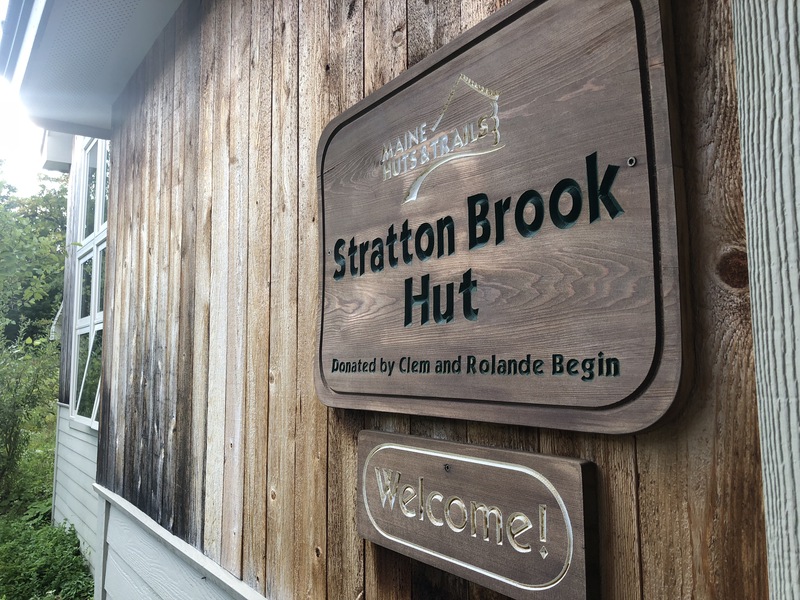 The activities offered are similar to those of the Stratton Brook Hut but during the summer months they also have swimming and paddling. 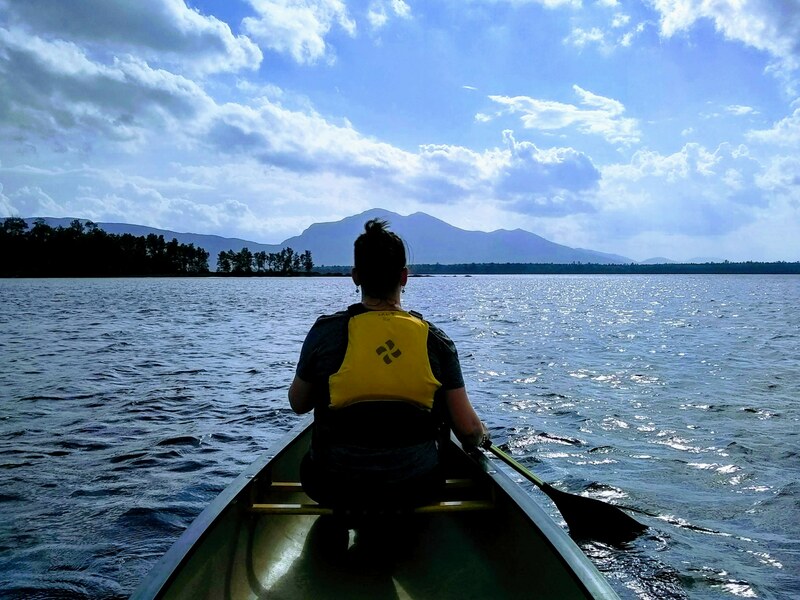 After arriving to the hut and taking some time to catch my breath, Kimberly took me on a guided paddling tour on Flagstaff Lake. What a spectacular view from the water looking at land that can not be touched by anyone. Not even the government. Ever. We will never see the forest come down and multi million dollar homes go up. This is pretty special knowing everything I was seeing was protected. Kimberly is by far one of the most fascinating people I’ve ever met. 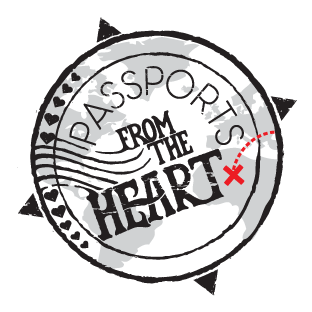 She has traveled the world, has a heart of gold for people and nature, and is deeply in love with her community. I found her to be incredibly inspiring and was anxious to hear more of her stories. She was so kind to spend an entire day and evening with me. I didn’t want to say goodbye. 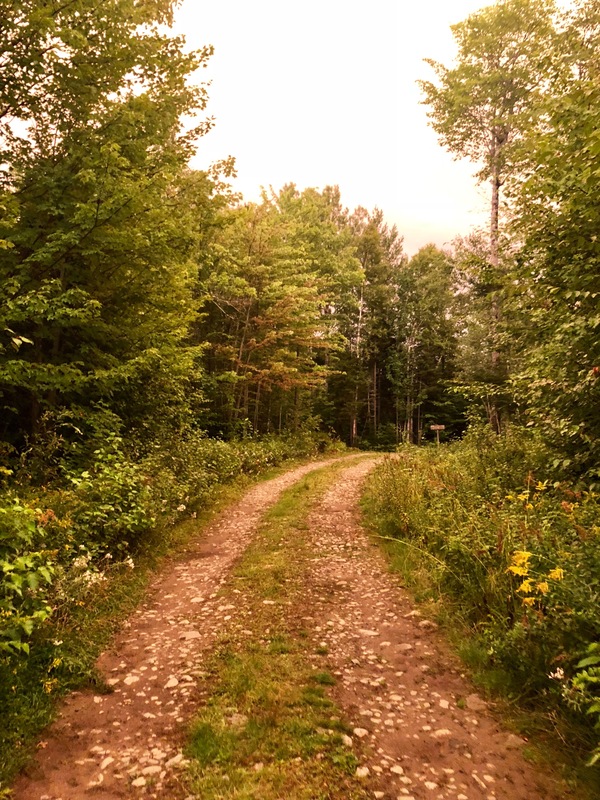 Those at Maine Huts and Trails are completely dedicated to their mission. Not just Kimberly and Carolann but even the staff who care for the guests at the huts. 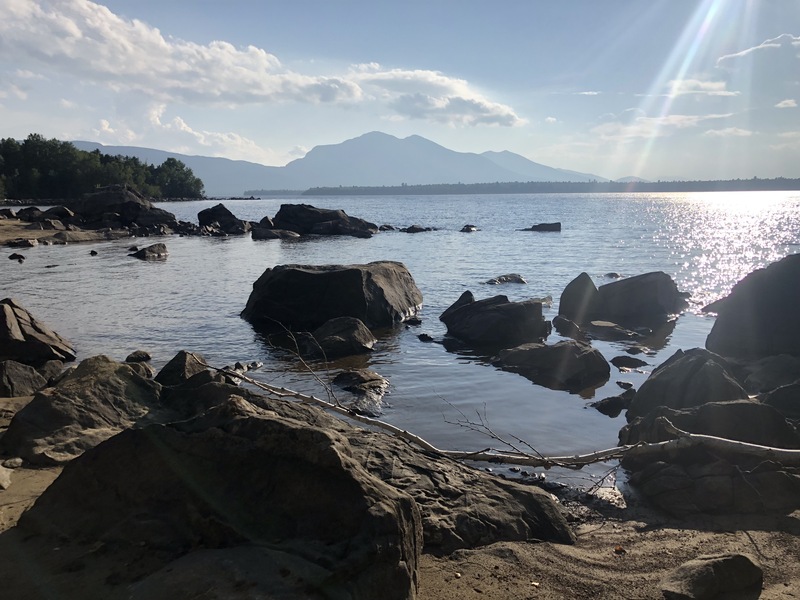 Everyone I met with this organization loves this mountain region of Maine and everything that nature offers them. 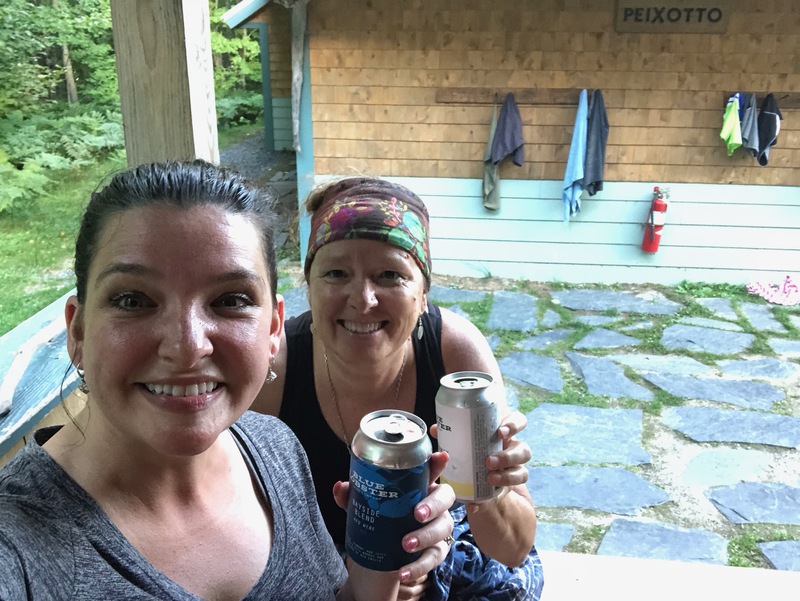 My experience with Maine Huts and Trails was really special. The hiking was great especially as I prepare for my trek to Mt. Everest Base Camp. Ok, so the trails aren’t the same but spending time outdoors was good for me. 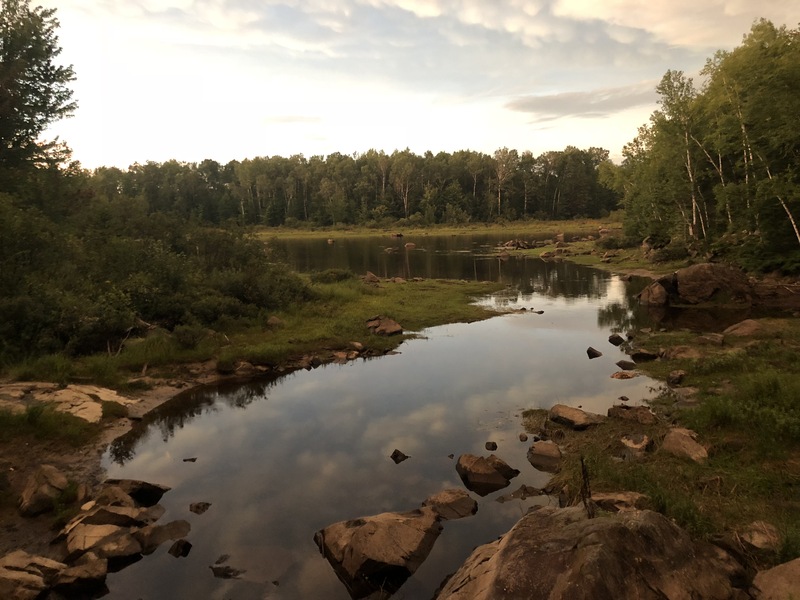 I spent 48 hours hiking, paddling, and getting to know the locals of the huts. 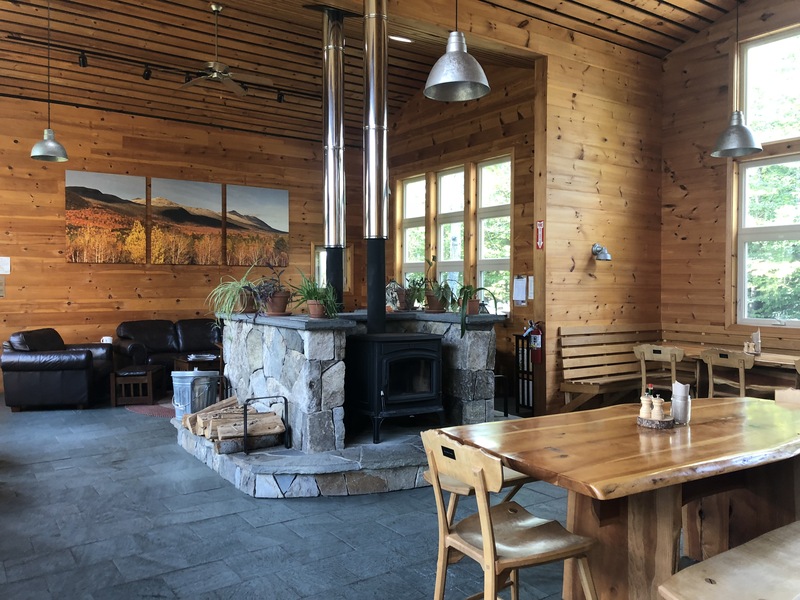 I loved sitting in the dining area watching families laugh while playing games and listening to those travelers just passing through. 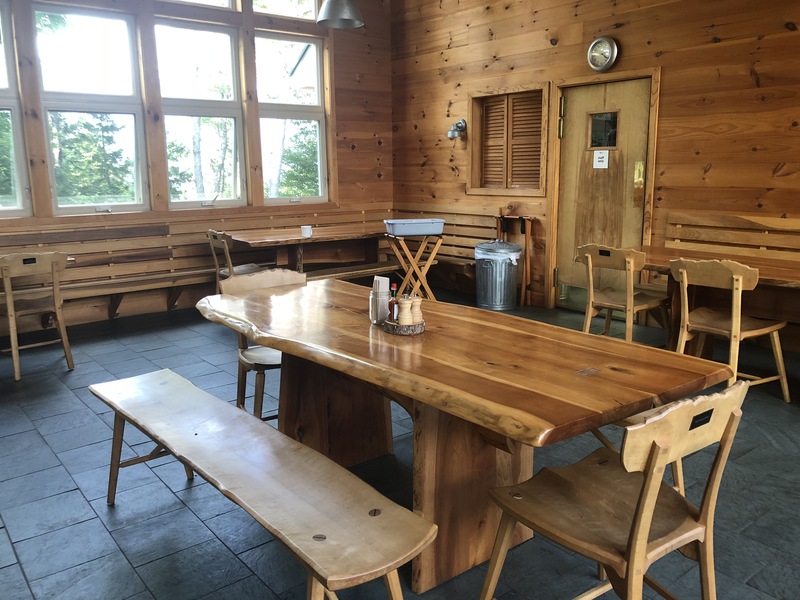 Each hut also provides breakfast, dinner, and a trail lunch with over night stays. Lunch is also available for day guests to purchase. The food is phenomenal! 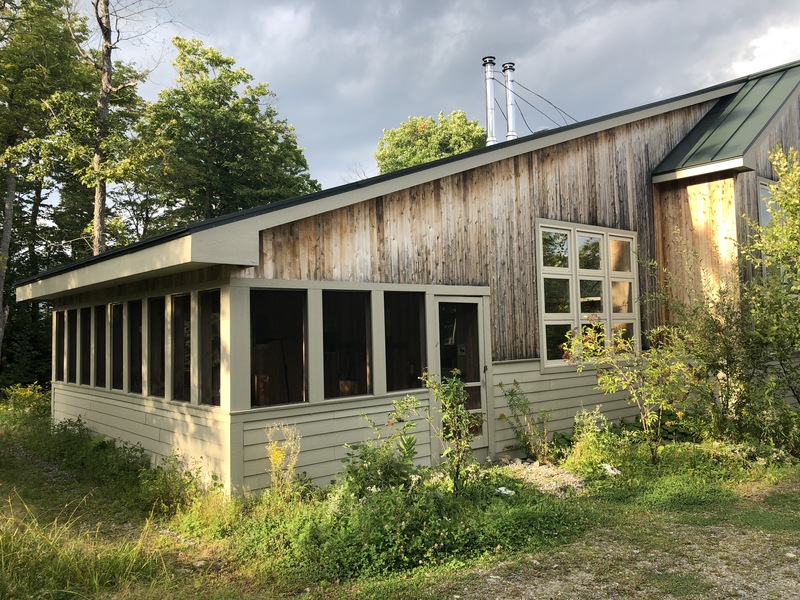 Maine Huts and Trails partners with nearby farms and are able to provide sustainably raised meat, fresh produce, and grains. The huts were even named a Top Six Ski Destination for Foodies by the Epoch Times. That’s pretty impressive. At each meal you sit with the other guests who are also staying at the hut. By the end of breakfast or dinner, you’ve connected with inspiring individuals from all over the world. Every one is open and welcoming. You walk away with a sense of belonging. 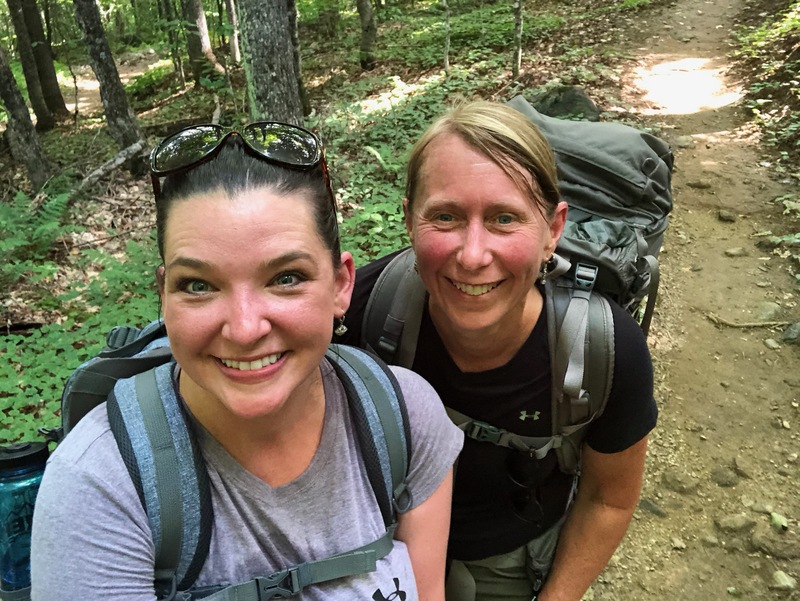 I even had the opportunity to see people that had reached the 2,000 mark of their Appalachian Trail journey. While I did not have the opportunity to speak to them, seeing them on the side of the trails knowing what they had just accomplished was pretty cool. I was without my cell phone for 24 hours. No calls, texts, or social media for the first time in years. There wasn’t even a moment I was desperate for it. The second night was easier. The dark didn’t scare me as much. I had figured out my sleeping bag and most importantly the Hut system. I even wrote in my notebook vs using a computer. My final morning I woke up at 6am with no alarm. I then hiked back to the trailhead alone. No Carolann or Kimberly. Just me and nature. It was peaceful and I was no longer afraid of being in the forest alone. 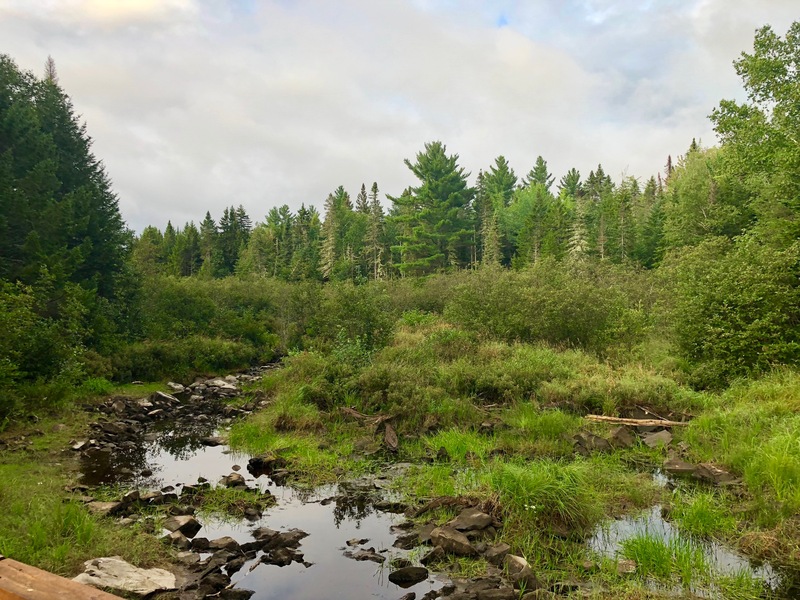 I kept my eye out for moose, even finding tracks, and caught myself looking for various mushrooms as Kimberly taught me. I was more aware and in the moment. 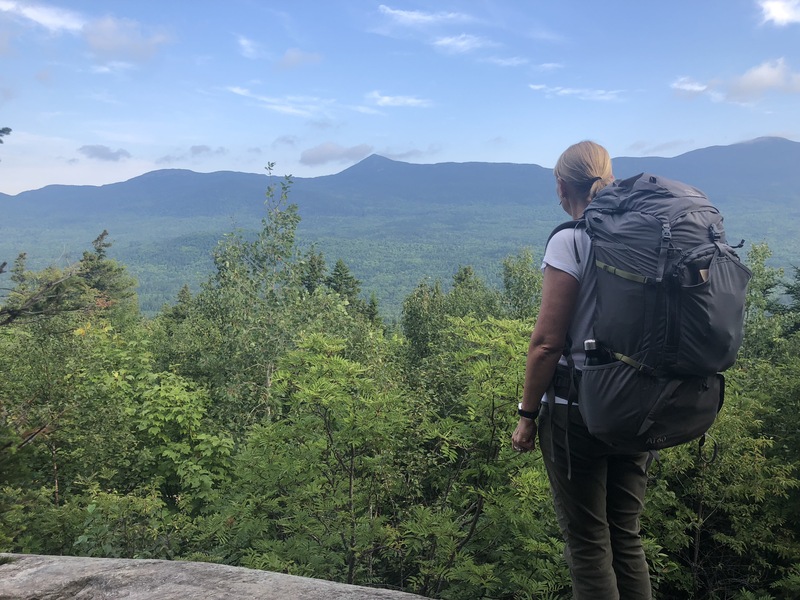 My Maine backcountry adventure with Maine Huts and Trails was a beautiful one. Inspiring, thought provoking, but most of all fun! I’m already thinking of returning and hoping to visit during the winter months. 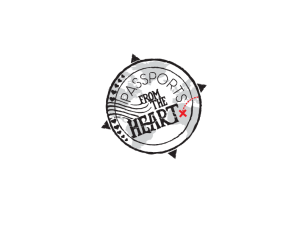 Maine Huts & Trails is a nonprofit organization whose mission is to create and operate a world-class system of backcountry trails and eco-lodges for people-powered recreation to enhance the economy, communities and environment of Maine’s Western Mountain region, for the benefit of current and future generations. 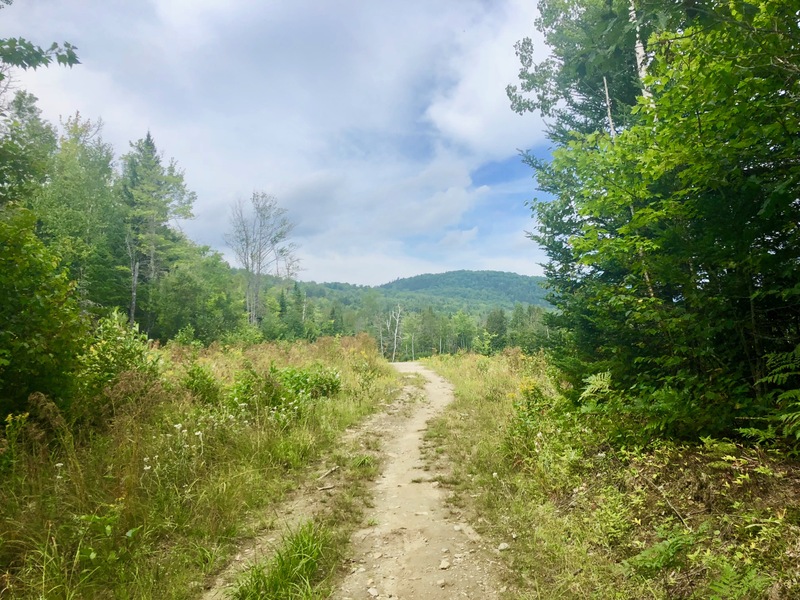 The Maine Huts & Trails system is located in the Kingfield/Carrabassett Valley region of western Maine, near Sugarloaf Mountain Resort, and roughly 50 miles southeast of the Canadian border crossing at Coburn Gore.